From the flagship name “Novotel”, emerges a new and exciting home, away from home in the heart of Quezon City, Philippines. 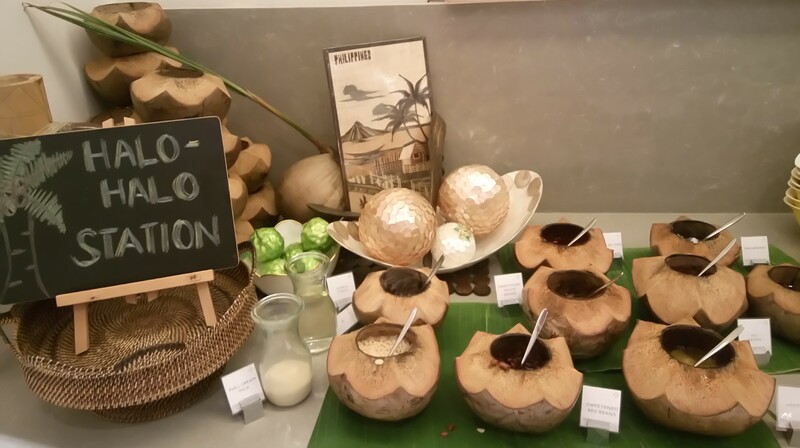 AccorHotels, the world’s leading hotel operator, launched Novotel Manila in Araneta Center, Quezon City’s largest lifestyle and entertainment hub last October 2015. 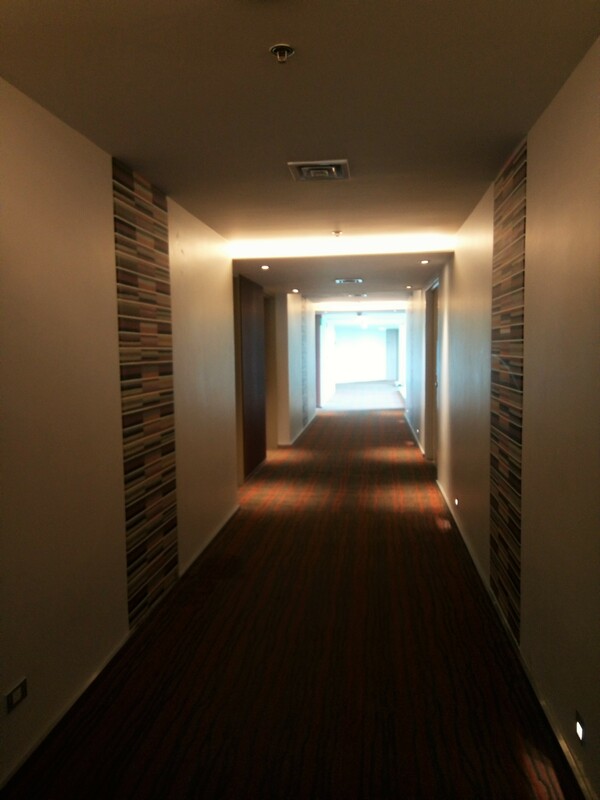 The hotel is strategically located beside The Araneta Coliseum and surrounded by five (5) major malls in Quezon City. 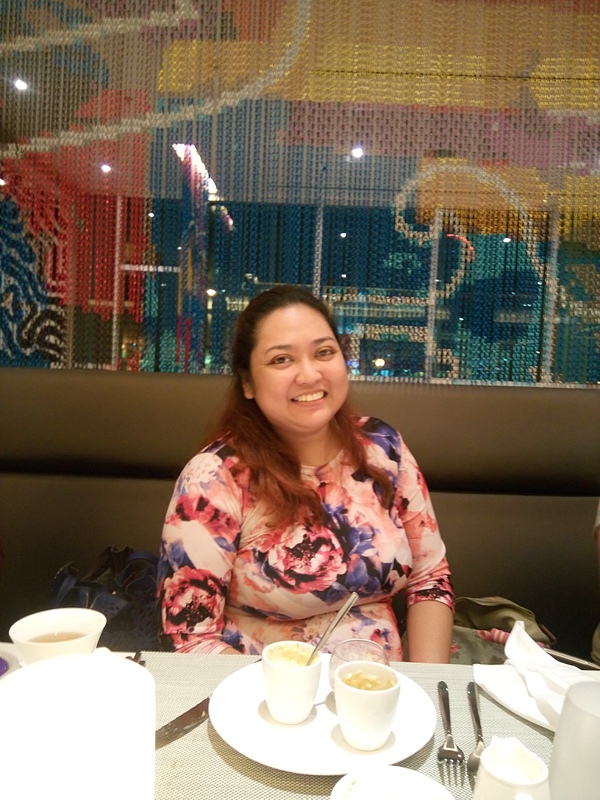 I had a very rare chance to experience the best of Novotel Manila Araneta Center through a trip around the hotel and a dining experience at their very own Food Exchange. 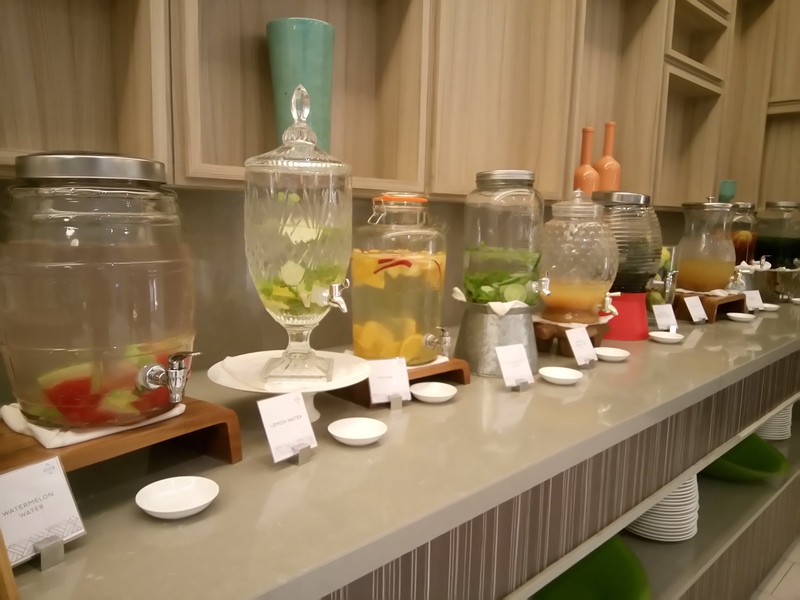 Let me walk you through and spark your interest so you too, would consider Novotel Manila Araneta Center on your next business trip or staycation. 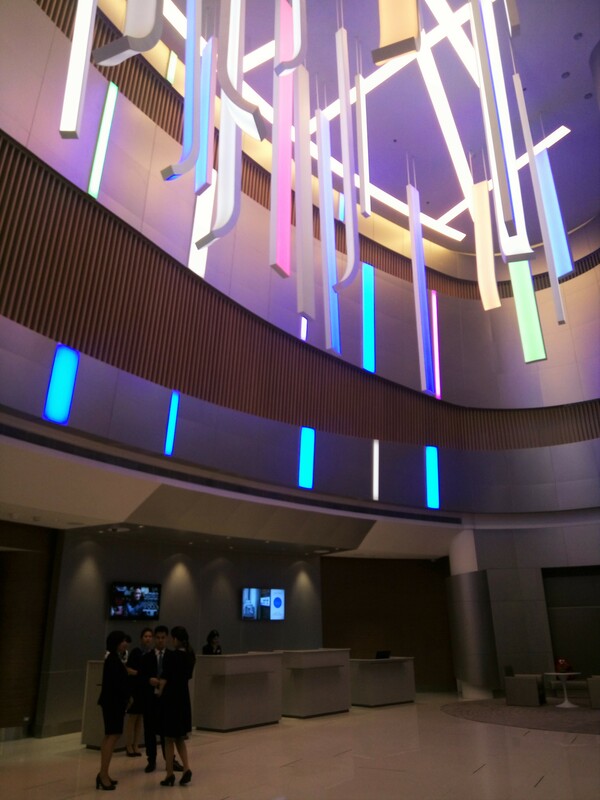 As I enter their lobby I noticed the modern vibe of the hotel – high ceiling, modern and colorful lights and inviting seats. 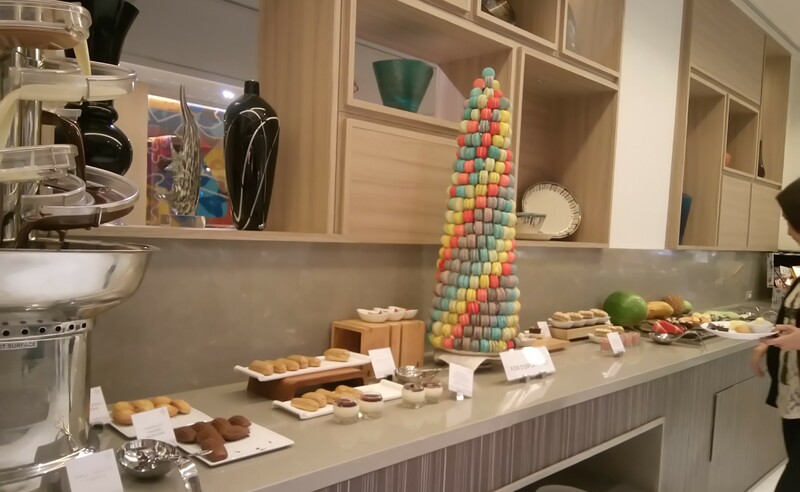 Novotel is the top-of-mind business hotel around the world and Novotel Manila Araneta Center carries on that tradition. I have noticed on my left is a hub with computers the hotel guests could use. 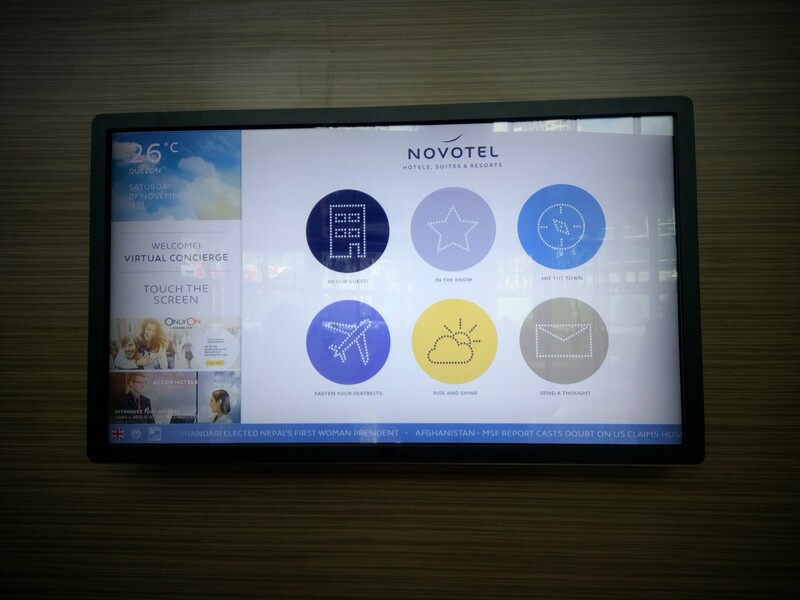 There is also an interactive screen which enables guests to explore the city, check the nearest landmarks, be up-to-date with the news, weather forecasts and even airline schedules. 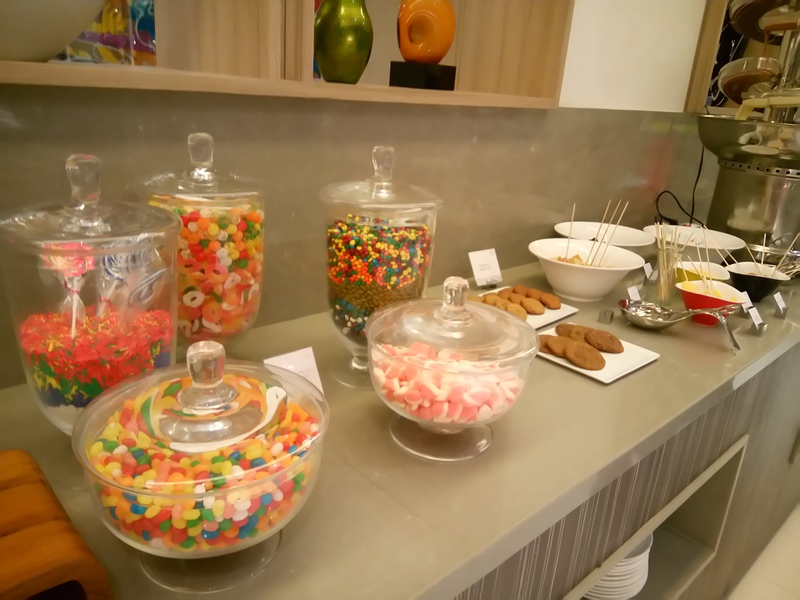 Aside from being a business hotel, Novotel also encourages guests who are on business trips to bring their family along. 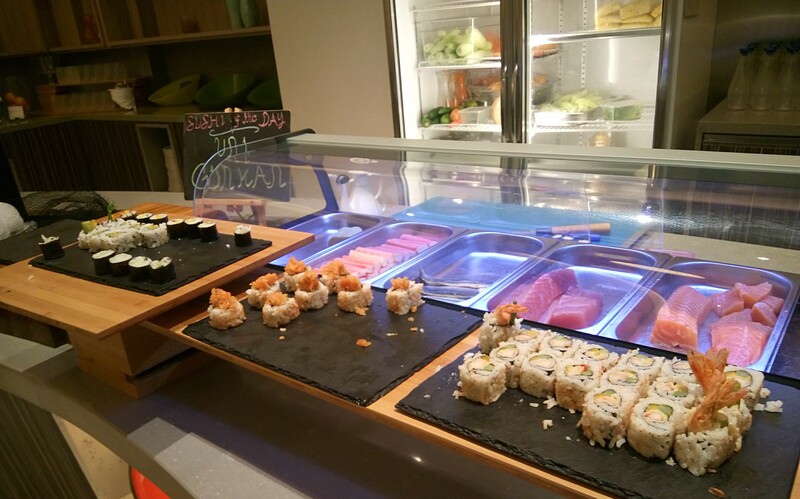 All over the hotel are areas that would cater to young guests. 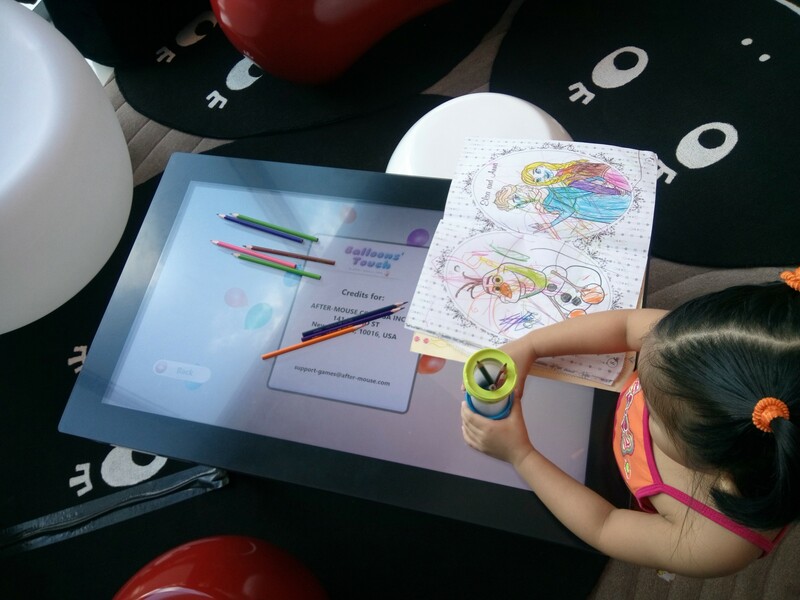 On the right side of the lobby is a family lounge with an interactive table where children can draw and play. 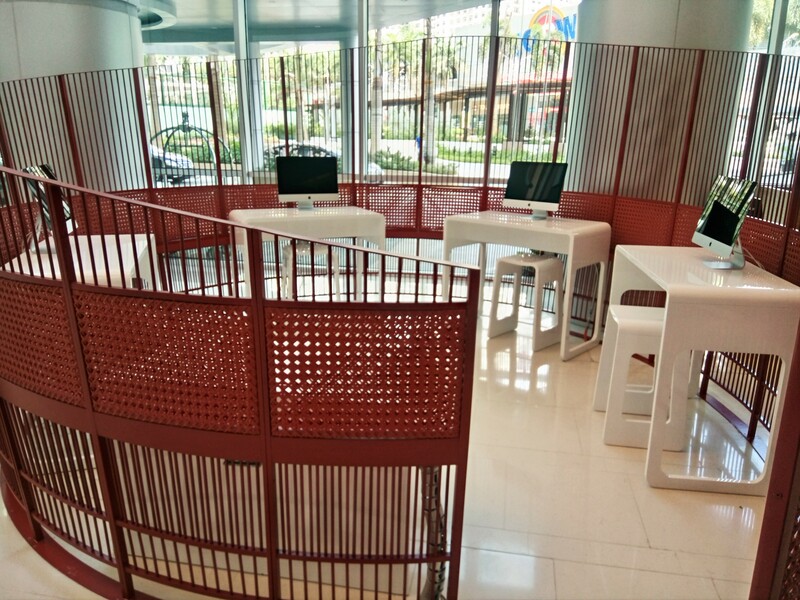 Another kid-friendly area that the hotel has is the Kids Club at the fifth floor which will be managed by Gymboree. Even the hallways leading to the rooms are intricately and meticulously designed and hand-painted. Their work table has incorporated multimedia ports too for your office and entertainment requirements. 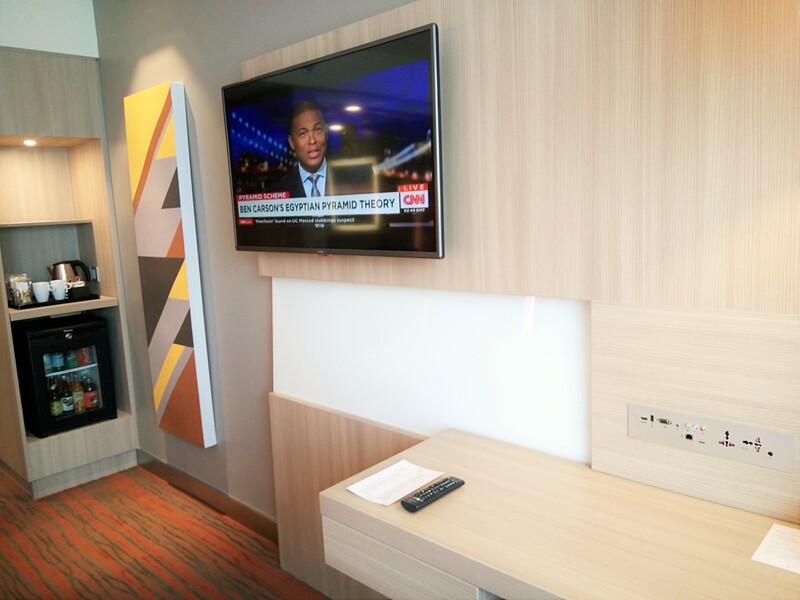 It is also interesting to know that most furniture around the hotel are contemporary and modular so you can maximize the space according to your need. 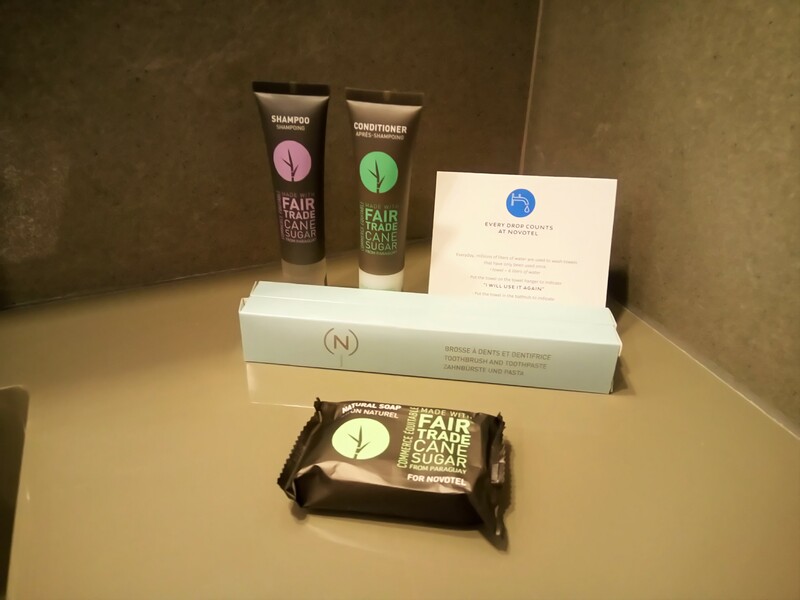 Another interesting information shared to me was the toiletries they use for the hotel are fair trade products or products that were exported from developing countries in support to marginalized producers and workers. The next part of the tour was around the hotel’s function and conference venues. Novotel boasts a pillar-less grand ballroom which can hold up to 1200 guests. This is just 1/3 of their vast grand ballroom. 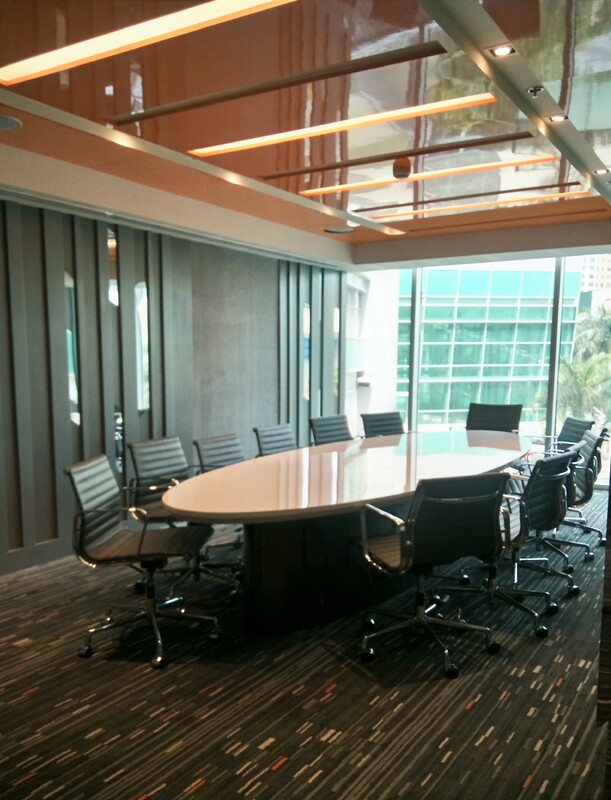 Aside from the grand ballroom, small conferences and meetings can also be done in their six meeting rooms and board room. These areas are surrounded by pocket gardens – perfect for short breaks and a room to breathe. Just like in the guest rooms, furniture in the meeting rooms are modular. 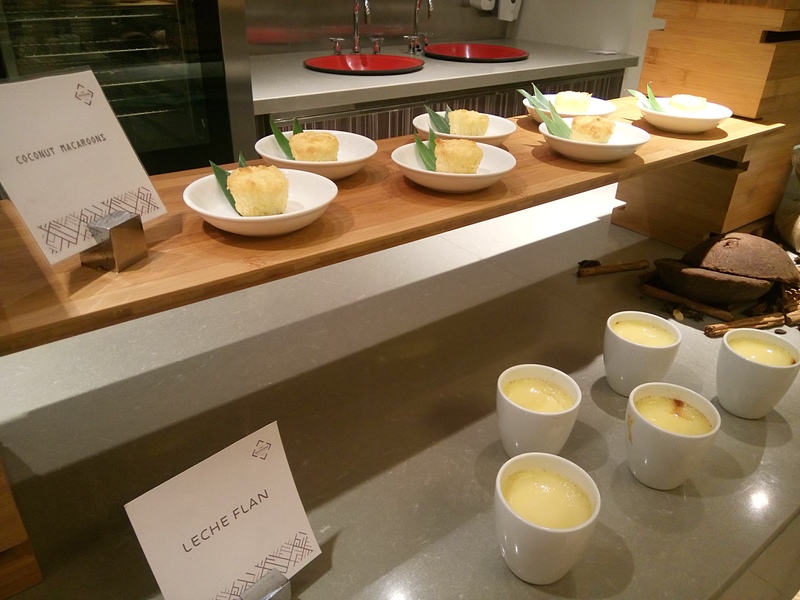 A hotel visit is never complete without having a taste of their food offerings. 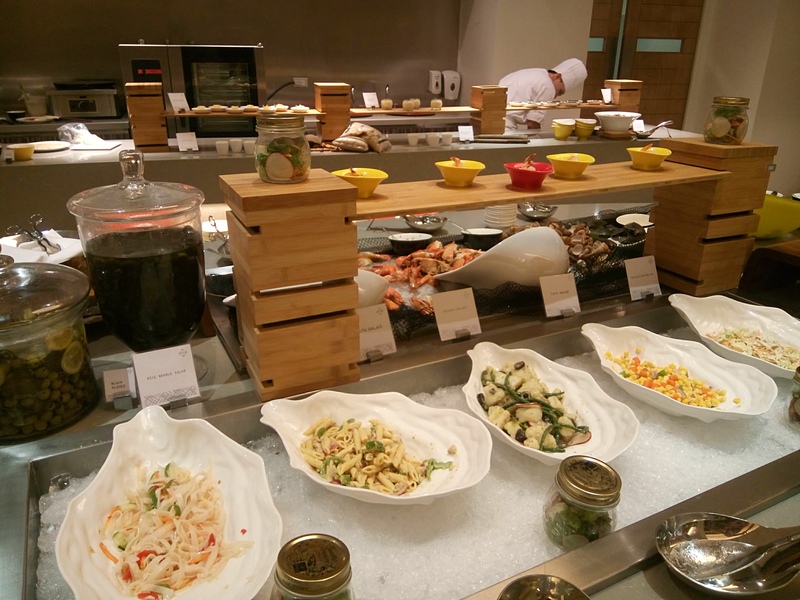 Novotel is home to two dining options, Food Exchange Manila which is a 208-seat contemporary restaurant that serves international buffet at their live cooking stations and Gourmet Bar by Novotel which serves signature drinks and ala carte food using organic produce from a dedicated farm in Rizal. 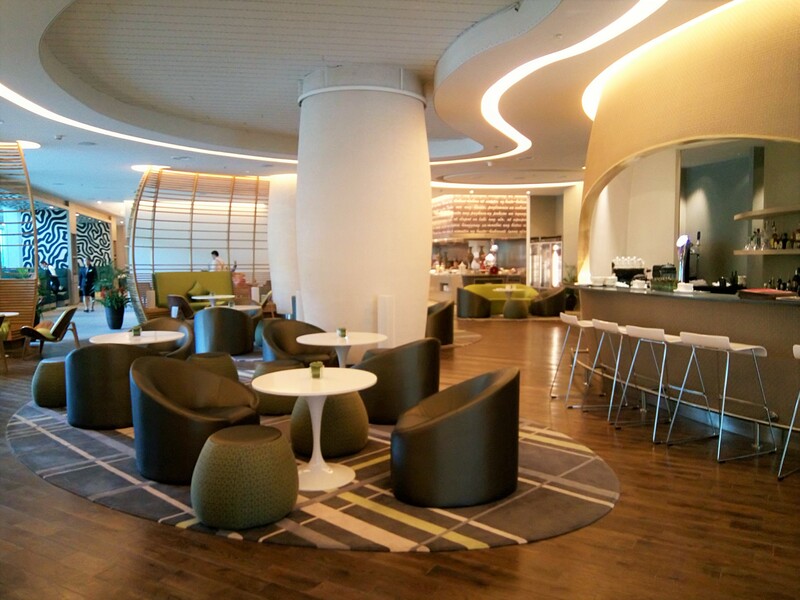 Gourmet Bar by Novotel is perfect for guests who wants sip a cup of freshly brewed coffee and lounge in these cozy seats. I would not miss JAPANESE. 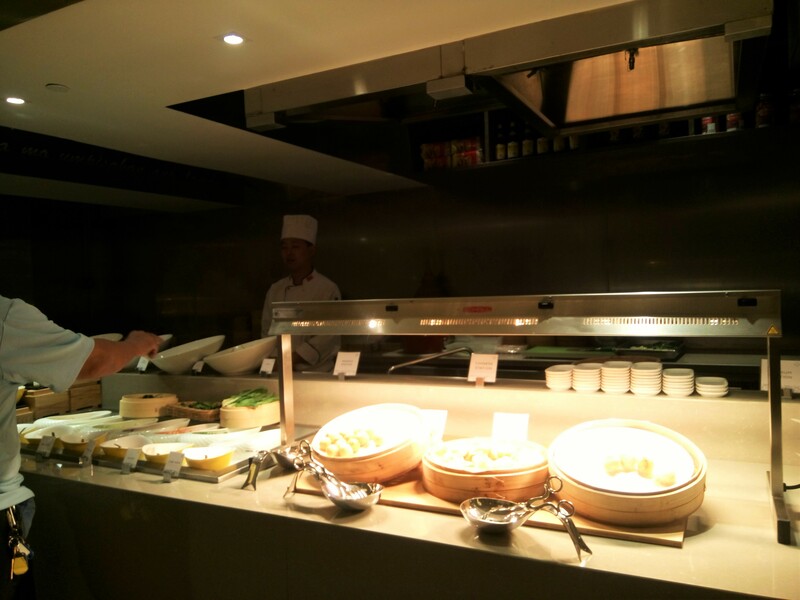 Light and easy with CHINESE and other ORIENTAL dishes. Time for some Roastin’ and Grillin’. As someone who loves to cook, I want to take home their cast iron pots that night. 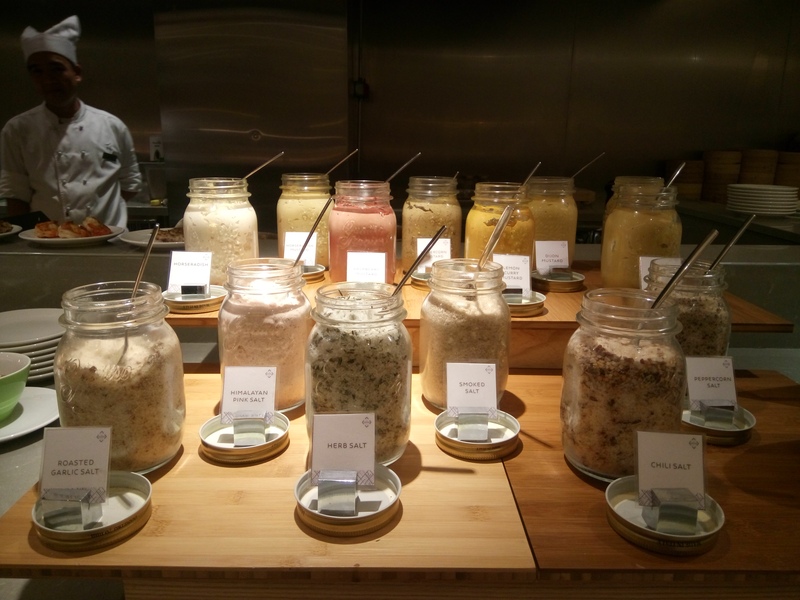 At the far end of the Food Exchange is a wide array of their own mixes and blends of condiments. 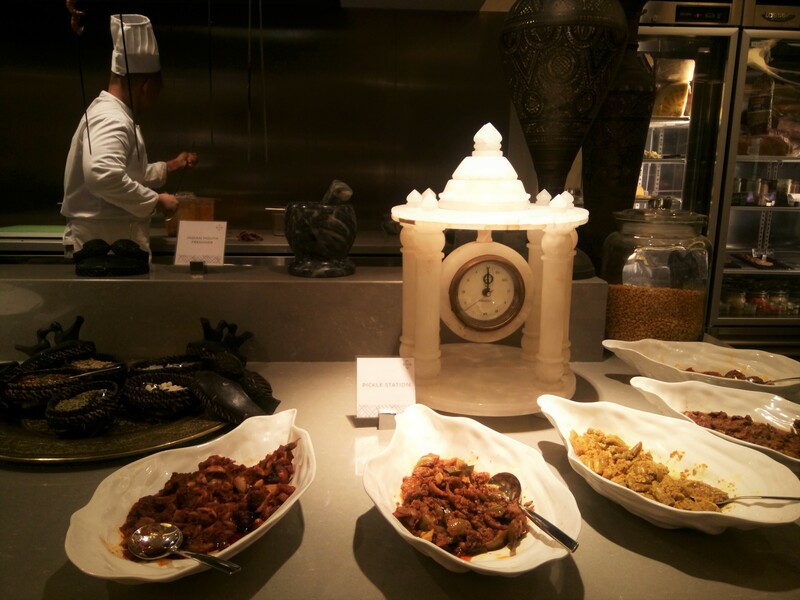 Food Exchange is also proud of their authentic Indian and Mediterranean dishes which are not usually offered in Philippine hotels. 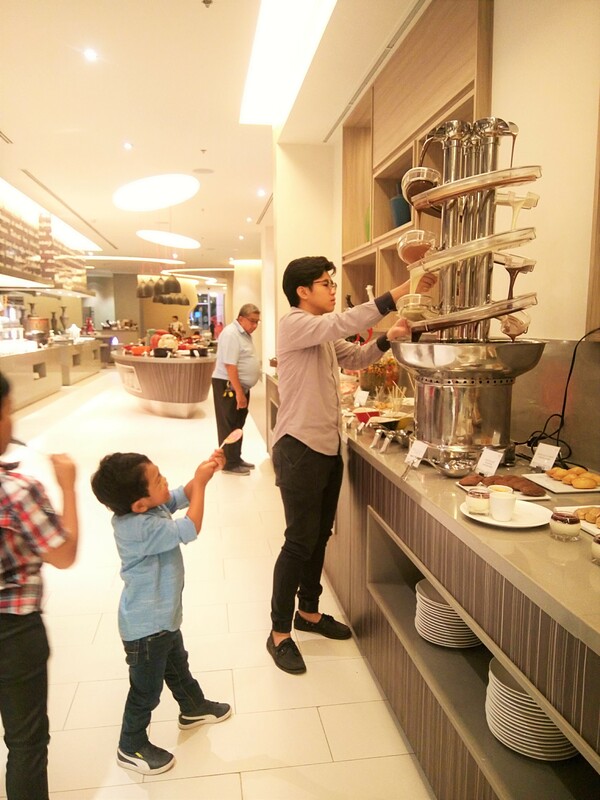 Their dessert and drinks areas are both feast to the eyes with its colors and offerings but what really caught my attention was this towering chocolate fountain with milk chocolate and white chocolate – for kids of all ages. 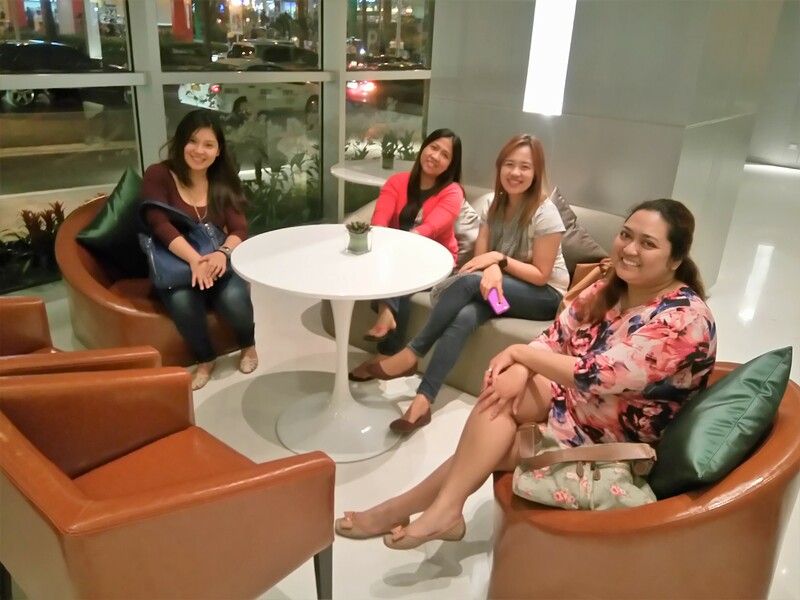 Here are some more photos of me and my colleagues enjoying the warm welcome of Novotel Manila. 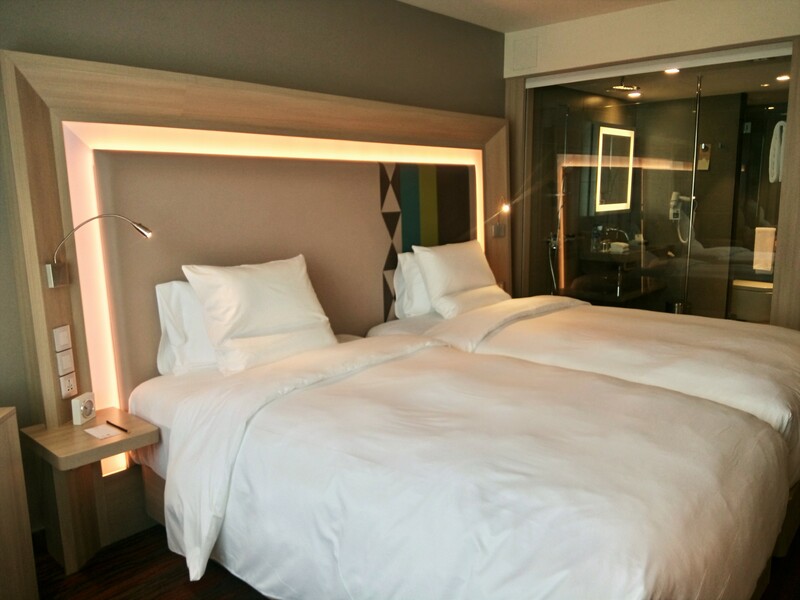 There are more things to look forward to at the Novotel Manila Araneta Center – a 2,500-sq.m. landscaped garden area to host future corporate events, fashion shows and weddings and a children oriented club. 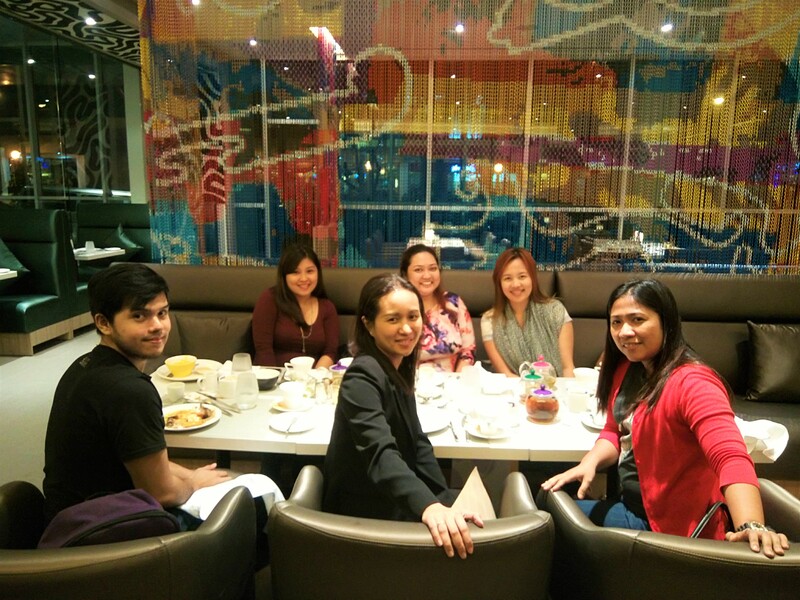 As a part of the Araneta Center’s master development plan, Novotel must look forward to travelers who will visit them for both business and leisure. AccorHotel’s expertise in the hospitality business all over the world is a guarantee that Novotel Manila will be everyone’s home, away from home. Wow. The hotel looks really cool and modern. It looks like you had a blast covering this. Thanks for sharing! Thanks for dropping a comment Lester. 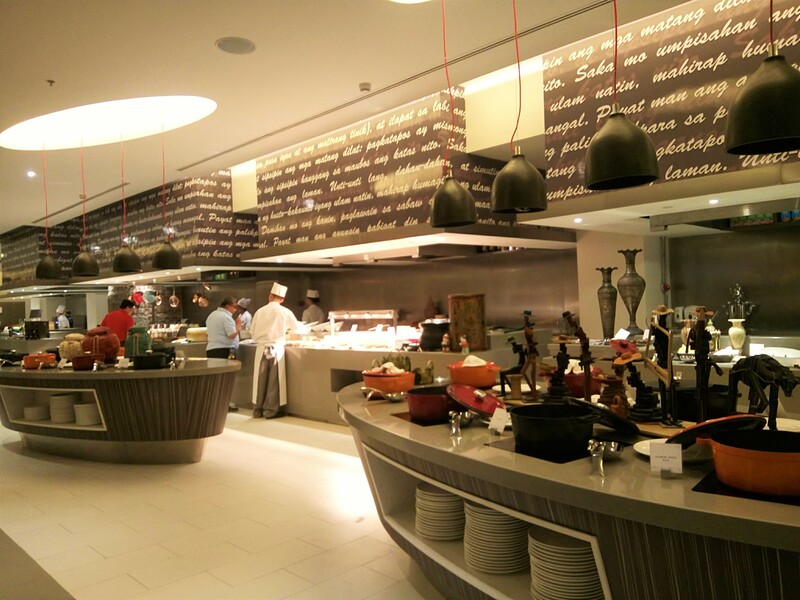 Visit Novotel to take advantage of their discounted rates. These looks beautiful! 🙂 Wonderful photos, too!